Ninety-five years after Charlie Chaplin entered the movie business and fascinated audiences with his soused slapstick, The Hangover proved that liquor-laced humor is timeless by becoming the highest grossing R-rated comedy of all time. The “bachelor party gone awry” storyline concerns three groomsmen—irresponsible, fun-loving Phil (Bradley Cooper), harried and henpecked Stu (Ed Helms), and weirdo brother-in-law-to-be Alan (Zach Galifianakis)—who treat the groom, Doug (Justin Bartha), to a Las Vegas getaway before his wedding. Unfortunately, after an evening of drunken partying and outrageous hijinks, the groomsmen awake to find the groom has disappeared. With no memory of what took place the night before and only a day before the wedding, the three have to piece together the events of the previous evening from a variety of clues—an abandoned baby, a missing tooth, a tiger, a police car, a hospital bracelet, etc.-in order to find their missing buddy. Is the highest grossing R-rated comedy of all time the funniest R-rated comedy ever made? In a word, “no.” National Lampoon’s Animal House (1978) and more recent laughers Bad Santa (2003) and Shaun of the Dead (2004) all contain bigger guffaws and more of them. 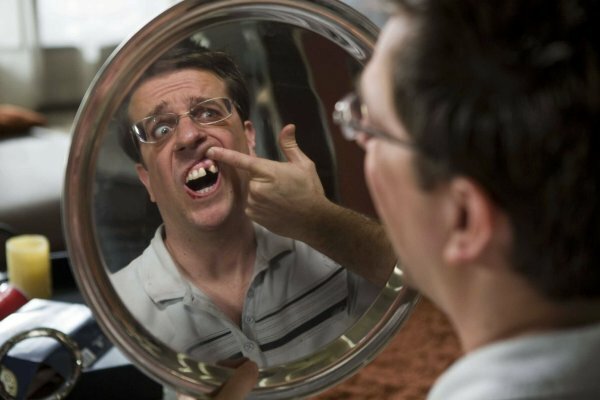 The Hangover is a surprisingly sedate comedy, despite its over-the-top premise. On the whole, however, that’s a good thing. Todd Phillips’ earlier flicks such as Road Trip (2000) and Old School (2003) were uneven efforts that ranged from realistic, even subtle, comic moments to cartoony gross-out gags. In those movies, the broad jokes often fell flat. 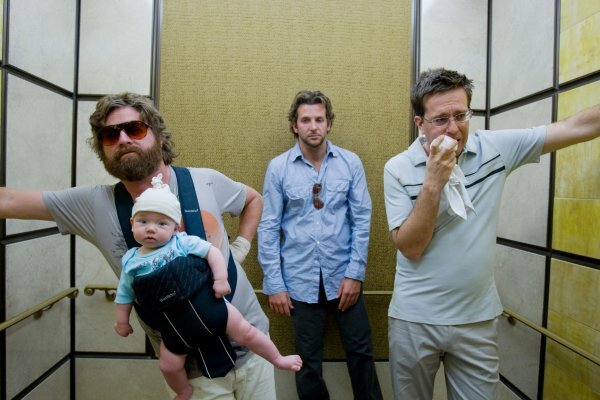 The Hangover has a more consistent, realistic tone; and while there are few laugh-out-loud moments, the characters, situations, and dialogue are chuckle-worthy throughout. The film’s success is largely due to the performances of the three lead actors. Bradley Cooper does some of his best work as the slightly sleazy best man. Moreover, he holds up his end in the humor department, while sharing the screen with masterful sketch comedian Helms and brilliant stand-up Galifianakis. As one would expect, Helms and Galifianakis get most of the best lines and deliver them to perfection. However, their performances are much more than just “bringing the funny.” Both comedians manage to create three-dimensional characters that are believable and likeable, with a touch of pathos. While supporting actors such as Ken Jeong, Heather Graham, Mike Epps, Rob Riggle, and Jeffery Tambor all add a little extra spice to the brew, the film is really a three man show; and the trio expertly shoulders the burden. Overall, The Hangover may be a little less hilarious than its premise and reputation would lead you to believe. However, it is a well-crafted, flavorful cocktail that you will likely want to sample more than once. Note--The wedding band at the end of the film is the “Dan Band,” featuring foul-mouthed wedding singer Dan Finnerty. The Dan Band previously appeared in Phillips’ earlier directorial efforts Old School (2003) and Starsky & Hutch (2004). 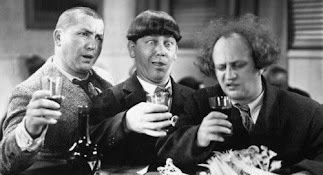 Potent Quotables--PHIL: (Toasting) To a night the four of us will never forget. Similarly Sauced Cinema--Phillips is scheduled to direct a sequel with all four leads, which will be released in 2011.
the DVD extra of the Ken Jeong outtakes were funnier than the movie itself. This movie was displayed PROUDLY on my Best of 2009 list, mainly because a) it's funny from start to finish and b) the characters aren't just caricatures. My vote for best line: "I wish I could breastfeed." Nobody does nonsequitirs like Galifianakis. I hope I'm pronouncing that right.